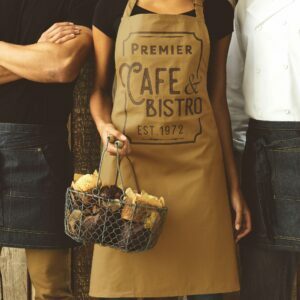 This khaki canvas bib apron features new cross over ties for a detailed fashion forward look. With a statement pocket with pen slot, cut at just the right angle to make it super easy to use. 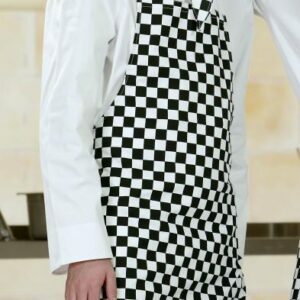 The apron also has our newly designed waist tabs to hold tweezers or tea towels.